Poetsch: "We view all legal claims against Porsche SE related to the diesel issue as unfounded." FRANKFURT -- Porsche Automobil Holding SE denied it misled investors about emissions cheating at its biggest asset, Volkswagen Group, as the holding company's board members battle lawsuits and investigations tied to the carmaker's diesel scandal. "We view all legal claims against Porsche SE related to the diesel issue as unfounded," CEO Hans Dieter Poetsch, who is also VW supervisory board chairman, said Tuesday in a prepared speech at Porsche SE's annual meeting in Stuttgart. Porsche is "convinced" that none of its board members violated stock market rules, he said. 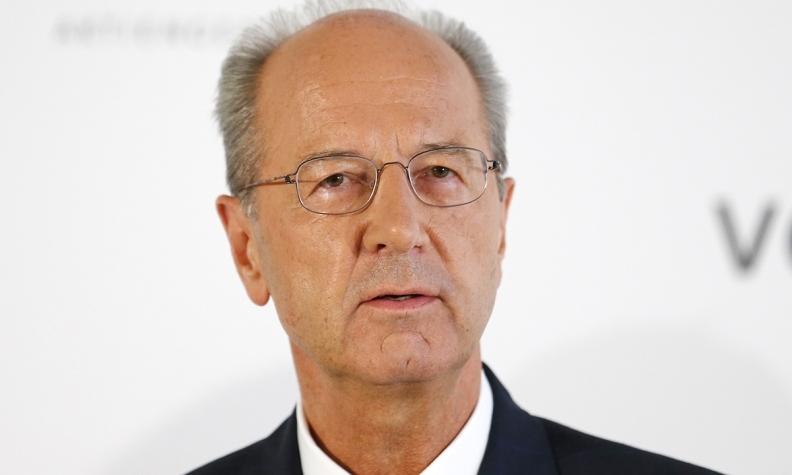 Legal woes intensified after Stuttgart prosecutors confirmed this month that they are investigating Poetsch, along with VW CEO Matthias Mueller who also sits on Porsche's management board, and Martin Winterkorn, a former CEO of both companies. Authorities are looking into whether the men waited too long to inform investors about the emissions cheating crisis that erupted in September 2015, which would amount to market manipulation. The probe highlights the long legal road still ahead for Volkswagen despite its efforts to put the crisis behind it. VW is facing thousands of lawsuits from disgruntled investors and customers worldwide after admitting that it rigged 11 million diesel vehicles to cheat on emissions tests. The scandal has cost Volkswagen 22.6 billion euros ($25.1 billion) so far, largely to pay for U.S. fines and settlements. Porsche SE, an investment vehicle which owns the majority of VW's voting shares, is facing 159 diesel-related lawsuits from investors at the regional court in its hometown of Stuttgart and another six in Brunswick, near Volkswagen's base. The suits are seeking about 902 million euros. Prosecutors in Brunswick are also looking at similar allegations regarding the stock of VW. That probe is targeting Poetsch, Winterkorn and VW board member Herbert Diess. All three men and VW have denied wrongdoing. It's not just legal battles weighing on Porsche's annual general meeting. Board members are also dealing with the recent falling out of Ferdinand Piech, the 80-year-old scion of the Porsche and Piech families that control the holding company. Piech, who dominated Volkswagen for two decades as CEO and then chairman, last month agreed to sell most of his 14.7 percent Porsche stake to his billionaire relatives after he ramped up a long-standing feud by alleging that his cousin Wolfgang Porsche and other VW supervisory board members may have concealed information about the diesel cheating. The former patriarch surprisingly showed up at Tuesday's meeting, having missed the previous two gatherings in the wake of his 2015 ouster following a failed power struggle with Winterkorn. Sitting on the second row of the stage along with other supervisory board members, Piech appeared umoved and didn't respond to an investor asking how long he would stay on the board. His cousin Wolfgang, Porsche chairman, said Piech had agreed to remain available until his stake sale is finalized. Separately, Porsche also faces claims of more than 5.4 billion euros tied to allegations of market manipulation during its previous management's battle to control VW, dating back to 2008. Porsche SE shareholders are set to approve a dividend of 1.01 euros per preferred share at today's meeting, in line with the payout a year ago. The ballot is effectively a formality as the publicly traded preference stock doesn't provide voting rights. The common shares, which are entirely in the hands of the Porsche and Piech clans and carry all voting rights, will each get a 1.004 euro dividend.